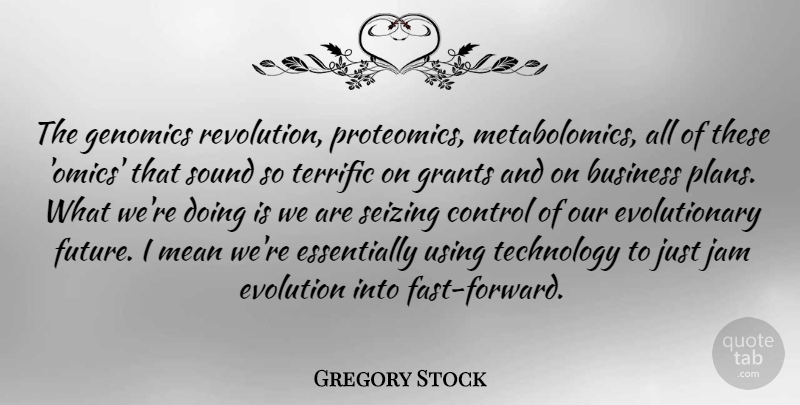 The genomics revolution, proteomics, metabolomics, all of these 'omics' that sound so terrific on grants and on business plans. What we're doing is we are seizing control of our evolutionary future. I mean we're essentially using technology to just jam evolution into fast-forward.